Backyard Habitat for Birds, Butterflies, Dragonflies, and More! Go GREEN by gardening with wildlife in mind. Go NATIVE; chose to plant or protect native trees, shrubs, vines, perennials, grasses. Learn the “how’s and why’s” of attracting birds, butterflies and other wildlife to your backyard, no matter how small. How to Create a Pollinator Garden for Butterflies, Hummingbirds, Bees, and More! Make your garden and yard pollinator-friendly for hummingbirds, butterflies, bees and more! 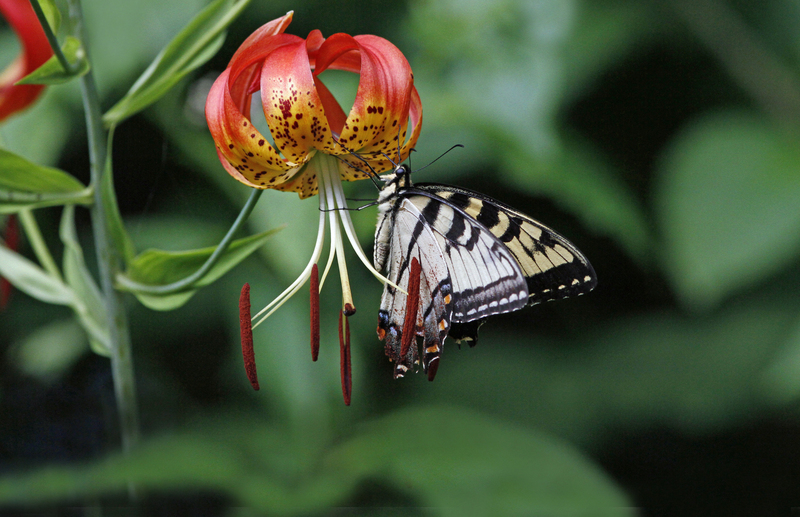 Program features wildlife gardens in southern New Jersey that have successfully transformed typical backyards into dazzling gardens ablaze and alive with butterflies, hummingbirds, hummingbird moths, honey bees, and many other beneficial pollinators. Milkweeds for Monarchs, plant it and they will come. Don’t plant it and someday they may not. Learn about the many different and beautiful native milkweeds that you can plant in your own garden or in community gardens to help create a path of milkweed from Mexico to Canada that will benefit Monarchs. Plant it and they will come! Learn about the very best native trees, shrubs, vines, grasses, and wildflowers that can survive and thrive in seashore conditions. Learn too how these same native plants are life-giving to birds and pollinators (butterflies, moths, bees, and more). Many gardeners regard anything they did not plant themselves to be a weed. But, in reality, a weed is simply an “out of place” plant. Learn to appreciate a wealth of plants you’d previously only thought of as weeds as Pat Sutton shares the many ways these weeds are life giving to various butterflies, birds, and other wildlife. Extend your wildlife habitat offering by learning how to create layered landscapes of natives in shady parts of your yard. If you are just beginning to add native trees and shrubs, Pat Sutton will share the very best natives that will enhance your habitat and benefit wildlife. Is your wildlife garden not living up to your expectations? Are you afraid of what the neighbors think? Are some of your native plants misbehaving? Confused by what’s what: weed or treasured native? This workshop includes tips and advice based on 40 years of wildlife gardening experience. Even a small meadow will make a big difference to wildlife. Learn how to convert lawn to meadow, maintain your meadow in a simple fashion over time, and make it acceptable and attractive to neighbors and visitors. And learn about specific birds and butterflies that will benefit. Even a tiny pond will attract and support frogs, toads, and dragonflies. Learn what a true wildlife pond is and how simple it is to create – with no need for running water, filters, fish, and all the fuss. This introduction to dragonflies (& damselflies) will cover the most common species found in Southern New Jersey, their natural history (life cycle, seasonality, what they prey on, and who preys on them), and how to identify one from another. Learn how to attract these ferocious mosquito predators by creating a dragonfly pond right in your own yard. The invasion of non-native plants has taken a big toll on butterflies and moths (that need native plants to lay their eggs on) and insect-eating birds looking for butterfly and moth caterpillars. Learn how to identify them, control or remove them, and learn of native alternatives to plant in their place. Sutton will emphasize designs that work with nature, not at odds with it. Choosing the right plant for the right spot (and the right site for key elements of a wildlife habitat) is key. The program will showcase multi-dimensional, diverse, layered, and interesting-to-the-eye natural landscapes that benefit wildlife, emphasizing to “let nature be the guide.” Typical landscaping (lawn and uniform park-like plantings) will pale in comparison. Clay and Pat Sutton have tallied 212 species of birds and 78 species of butterflies in their tiny one-half-acre wildlife oasis. How’d they do it . . . by questioning each practice as to whether or not it would help or harm wildlife. Get ready, get set for Ruby-throated Hummingbirds. Even if you think you know everything about these winged jewels, expect to be surprised by what you learn during this presentation. Based on the Suttons’ book by the same name (Houghton Mifflin, 1999), this program relates their fascination with butterflies and conveys the excitement of searching for, studying, enjoying, and attracting these winged jewels. Pat and Clay Sutton have studied owls in the wild for over 40 years in the Cape May area, so famous for owl migration, and wherever they travel. In their program they share their fascination with owls and convey the excitement of searching for, understanding, and enjoying these illusive and mysterious creatures — just as they have in their book by the same title (Houghton Mifflin Harcourt, 1994, now out of print). Based on the Suttons’ book by the same name (Houghton Mifflin, 1996) Clay and Pat will cover raptor basics, finding hawks and eagles both near and far, when and where to go, and finding raptors throughout the seasons. Clay Sutton offers a lively presentation of the second edition of Hawks In Flight, by Pete Dunne, David Sibley, and Clay Sutton. The instant classic, Hawks in Flight, was coauthored in 1988 by Pete Dunne, David Sibley, and Clay Sutton. Clay will emphasize the holistic method of hawk identification, where ID’s are made on the basis of silhouette, shape, behavior, and movement, a method which goes far beyond the standard field marks. Clay Sutton will present this in-depth hawkwatching program based on the over 100 years of collective hawk watching experience of the three authors of Hawks In Flight. Texas and Borderland tropical raptors are featured. Expect the perfect primer for hawk watching anywhere in South Texas and the American West. Celebrating the 2012 75th Anniversary of Bird Studies at Old Cape May. If there has been one constant in the ornithology of Southern New Jersey, it is change. Join Clay and Pat Sutton as they explore the many changes in our bird populations over the last century. Learn how “New Cape May” relates to the old and why Stone’s landmark book is still highly relevant today. In 2002, Birding Cumberland, by Clay Sutton, was published, a complete guide to birds and birding in one of the true jewels of New Jersey. Join Clay Sutton for this program and visual tour of many of the wonders covered in Birding Cumberland. Learn of the exciting and in some cases unique opportunities afforded when “Birding Cumberland.” From spring shorebirds to an abundance of breeding birds, from a spectacular fall migration to winters steeped in waterfowl and raptors, Cumberland County is a place for all season. Pingback: Ruby-throated Hummingbird – PART ONE: They’re Back! Please add me to your email list…my computer crashed and died….all was lost. So sorry to hear about your computer woes! YIKES!!! I just sent you an e-mail letting you know that you can add yourself to my Gardening Gang on my website, but going to one of 2 links: “Join Pat’s Gardening Gang.” they both will let you join the gang.